Dr. Charlton Woodly and Dr. Asia Jackson of Woodly Foot & Ankle are full-service podiatry specialists serving the residents of Weatherford and Richland Hills, Texas. 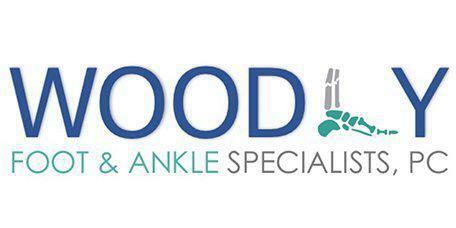 As specialists, their role is to treat problems of the foot and ankle, including traumatic injuries such as fractures. Dr. Woodly and Dr. Jackson provide emergency care for foot and ankle fractures at Weatherford Regional Medical Center and at their offices. Fracture simply means a break in a bone. It’s a very serious injury, usually associated with trauma of some kind. The break may happen because you twisted your ankle walking down the street or during a car accident. In some situations, especially when dealing with the weight bearing foot and ankle bones, the break may be spontaneous as a result of continuous stress. Are stress fractures different than other kinds breaks? Stress fractures, called repetitive-use injuries, often happen to track and field athletes. The repetitive stress on the foot from long distance running and jumping causes tiny cracks in the bone. Military members also suffer from this kind of injury, especially when they jog daily or march long distances with heavy packs on their backs. A stress fracture may also be a symptom of a disease, such as osteoporosis, or a complication of extreme obesity. That depends on the degree of the fracture and location. Healing from a fracture happens in stages, starting with basic first aid. Dr. Woodly or Dr. Jackson may opt to give you medication to manage the pain and reduce the swelling with ice. The next step helps the bone heal and usually involves immobilization. The ends of the bones may come out of alignment, and Dr. Woodly would need to correct the problem. Proper immobilization allows the bones to mend together and heal. The third stage is recovery. You may need physical therapy to strengthen the muscles of your foot, ankle and leg to improve range of motion and flexibility. Foot and ankle fractures can also benefit from laser therapy. Laser therapy or "photobiomodulation" is the use of specific wavelengths of light to create therapeutic effects. These effects include, but are not limited to, improved healing time, pain reduction, increased circulation, decreased swelling and vasodilation. Laser therapy is known to significantly expedite healing and decrease pain. Finally, the doctors look for ways to help you prevent further injury. Having a broken bone can change your stride, for example, so the care process may include a discussion about proper footwear, safety gear, and cross-training techniques to prevent stress on the lower extremities. Are there safety tips for preventing fractures? Yes. Dr. Woodly and Dr. Jackson can show you ways to keep your foot and ankle bones safe, including ways to protect yourself during sports and other physical activities.